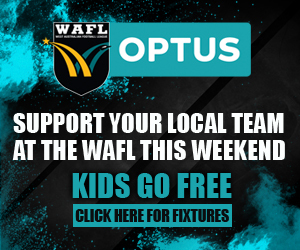 IT was a season to forget in 2018 for East Fremantle winning just two games but one man who did everything in his power to try and inspire the Sharks was George Hampson. 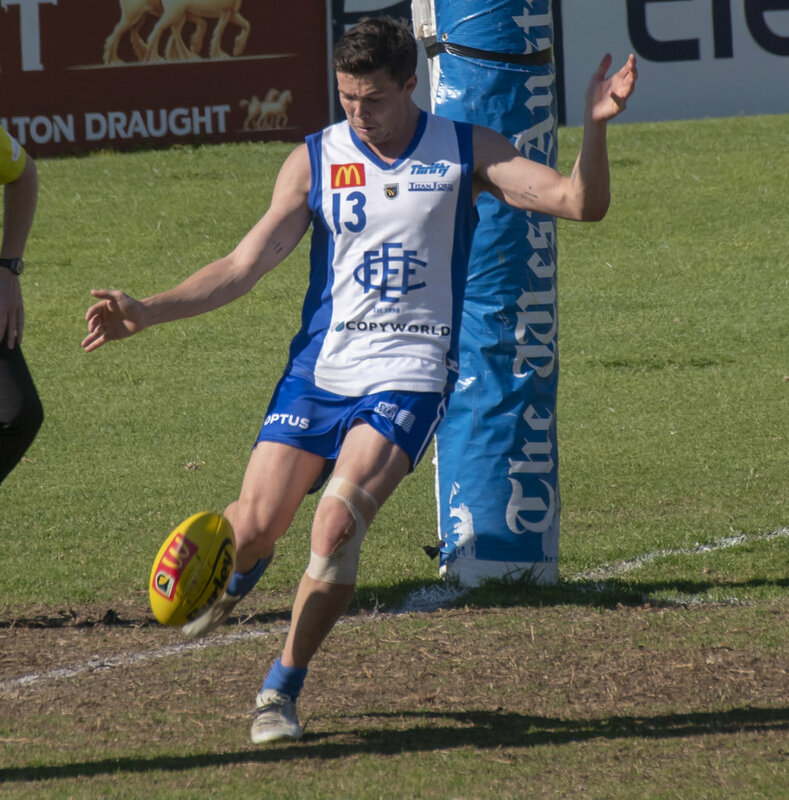 In a season where he brought up his 100-game WAFL milestone along the way and was able to get through with his body sound after making some changes to his recovery and training regime, Hampson took out the Lynn Medal as East Fremantle's fairest and best winner. There was precious little to like out of the season for the Sharks as they won just the two matches to end up with the wooden spoon with coach Rob Wiley deciding to not seek a new contract and former captain Jamie McNamara retiring along the way as well. 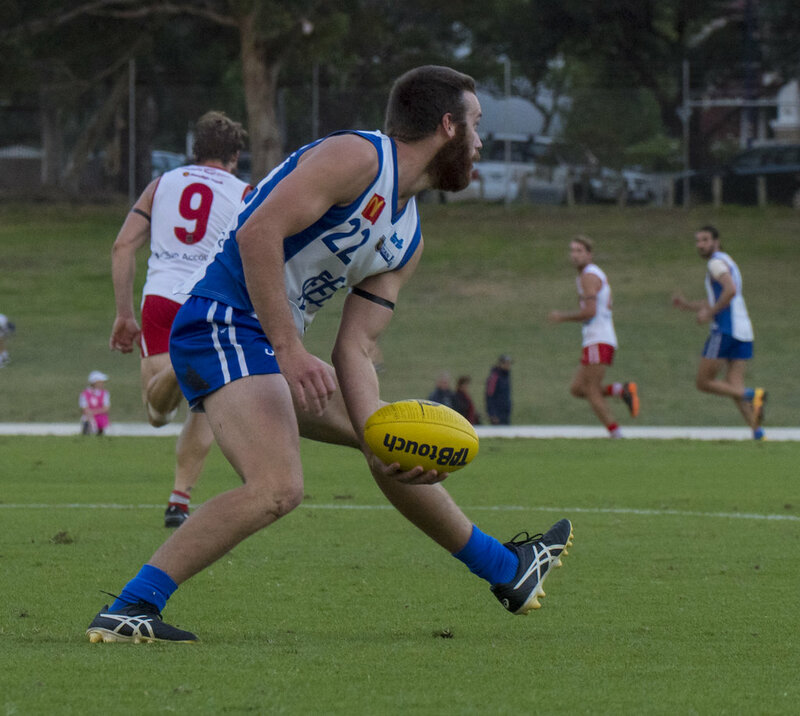 But as the season wore on, more and more did Hampson become the standout of 2018 for East Fremantle and it was no surprise to see him rewarded with the Lynn Medal. Hampson played 17 of a possible 18 matches for the Sharks and went on to average 27.2 possessions and kick 18 goals. In six of those games, he had 30 or more possessions as well and only twice did he fail to reach 20. That consistency of outstanding contributions saw Hampson comfortably claim the fairest and best award to go with the Outridge Medal he won at Subiaco back in 2014. 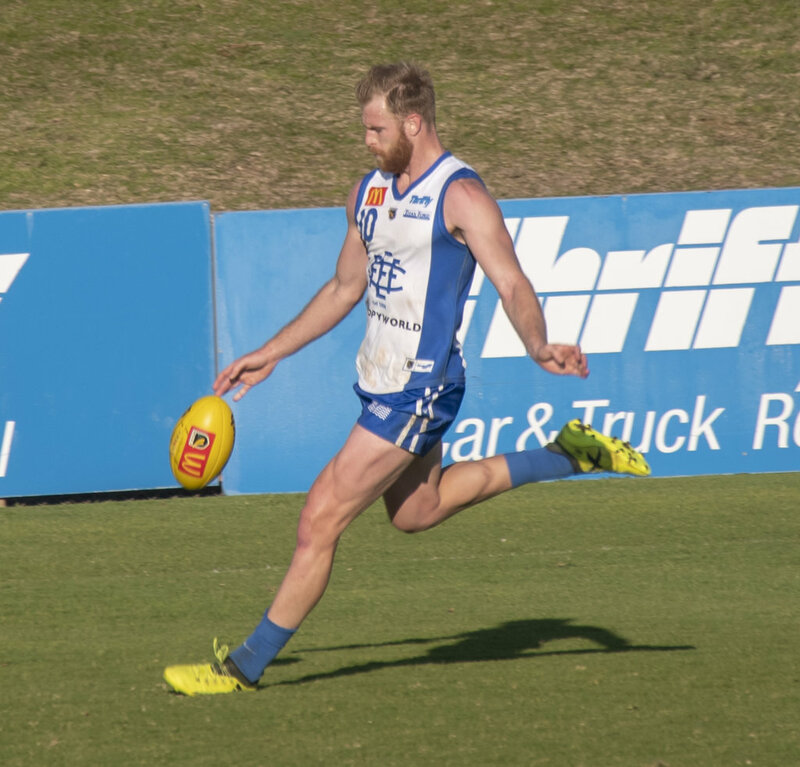 He was also named to the WAFL Team of the Year for 2018. 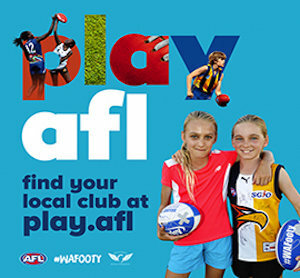 It is another accolade for Hampson in what is becoming an increasingly decorated career that has seen him play 109 games in the WAFL, represent Western Australia, win the two fairest and best awards and play in a premiership at Subiaco in 2014. After finishing third in Lynn Medal voting last year on his return to East Fremantle, Jonathon Marsh had another solid season with the Sharks in 2018 and finished runner-up in fairest and best voting behind Hampson. It was no surprise that defenders dominated the vote count behind Hampson given the amount of action they saw throughout the season. Key defender Dylan Winton came third ahead of last year's winner Jayden Schofield, who did miss three games along the way through suspension. Cameron Eardley was fourth last year in the fairest and best count, and ended up fifth in 2018 for a season that saw him averaging 23.5 disposals across his 16 matches to take his career games tally to 90 with the Sharks. Cameron Loersch might have only played nine games in 2018 for East Fremantle on return to Western Australia after his time listed with the Gold Coast Suns, but the former South Fremantle big man made enough of a mark to suggest he could be the Sharks' answer as a key forward. In those nine games, Loersch kicked 27 goals including a best of six in Round 17. 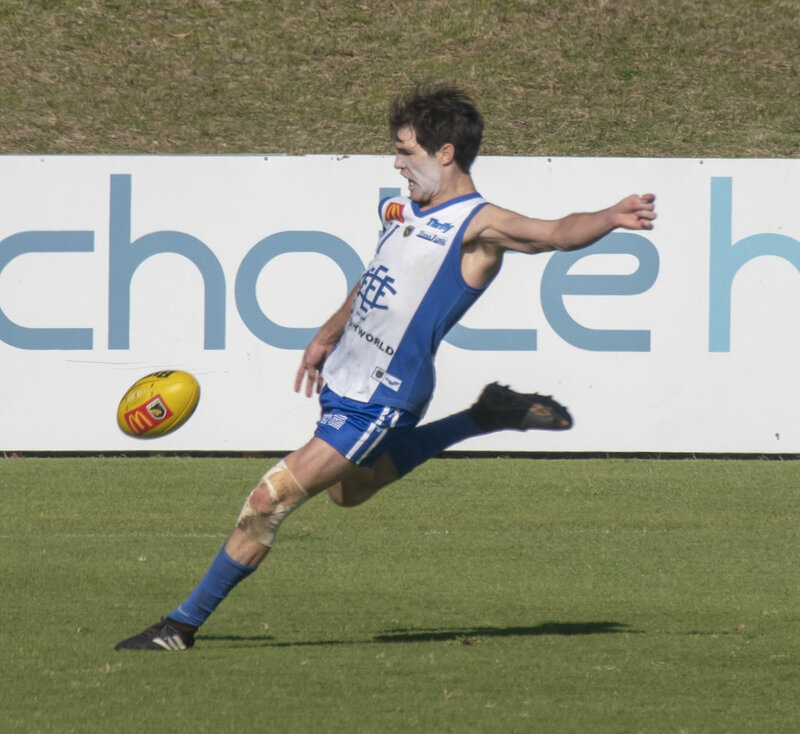 That was enough for him to lead East Fremantle's goalkicking for 2018 and he also won the Rising Star Award. Lachlan Bailey won both the Best Clubman and Bendigo Bank Community Awards. The Henry Jeffery Medal as reserves fairest and best winner was won by Zach Jackson who won the vote count ahead of Ben Harding, Kim Schofield, Corey Holmes and Nick Bonomelli. 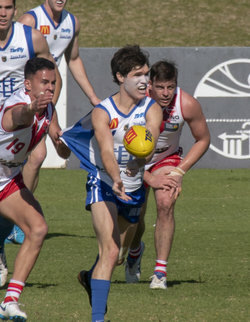 East Fremantle's colts reached the finals in 2018 and won the elimination final derby against South Fremantle before going down to Peel Thunder in a thriller in the first semi-final. Corey Robinson claimed the Len Anderson Medal as the colts fairest and best ahead of Nick Watson, Trent Rivers, Cody Smith and Milan Murdock.